As you make your way toward the spectacular Milford Sound along the Southern Alps expect the landscape below to change rapidly. From the alpine features of Mount Aspiring National Park you will fly over the Shotover Valley and Lake Lochnagar out to the Tasman Sea on the West Coast and Fiordland National Park where a plethora of breathtaking views, cascading waterfalls, lush rainforests and wildlife await. 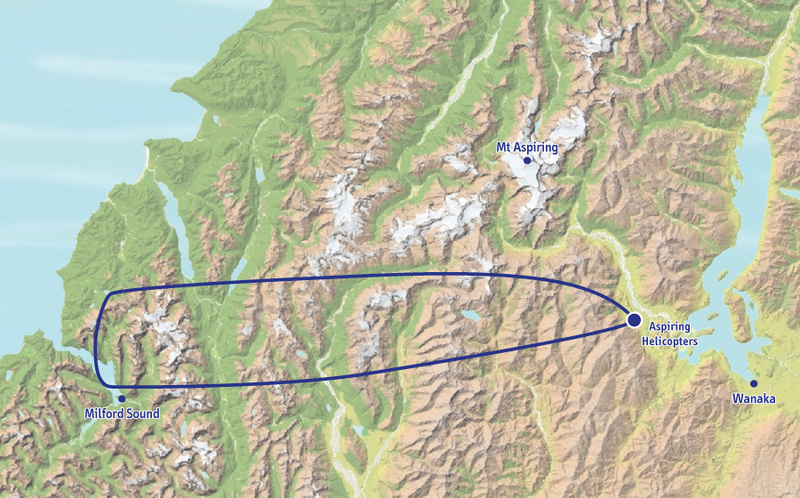 A Glacier/snow landing and stop in Milford Sound are included in this trip.